Atrix International has released new vacuums and an add-on kit featuring an indicator light to warn of potential filter overflows. Aimed at providing a safety feature to avoid hazardous materials overflowing from the vacuum filter, the new indicator light is available on the Atrix VACHFIL Omega Plus Abatement Vacuum w/HEPA Filter & Light Kit, VACGFIL Omega Green Supreme Vacuum w/HEPA Filter & Light Kit, and as the FILKIT Full Filter Indicator Light Kit for Omega Series & High-Capacity Vacuums. 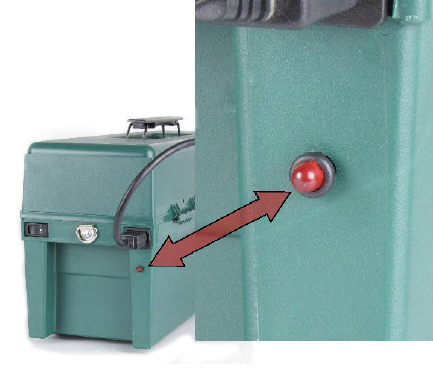 The red LED filter indicator light warns when the filter is reaching full capacity, helping you avoid potential dangers of materials like lead dust, mold spores, asbestos, etc. escaping from the filter. Changing the filter at the right time will also protect the lifespan of the vacuum, save on filter costs, and boost filter efficiency. 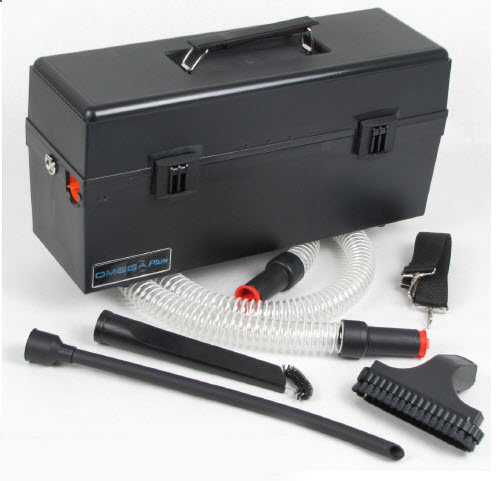 This portable Omega Plus Vacuum is made of durable, high-impact Starex flame-retardant polymer, has built-in over-heat protection, and features a self-contained HEPA filter cartridge that traps hazardous particulates. 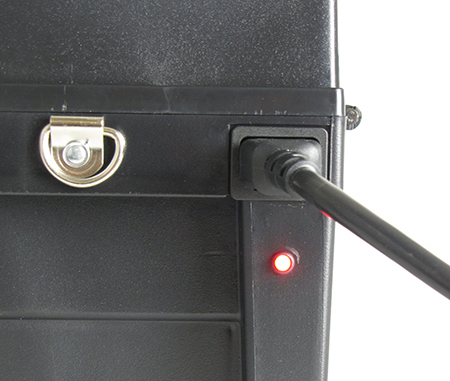 The Filter Full Indicator Light complies with British Standard No. 8520. The quiet, yet powerful, VACHFIL includes a hose plug, utility nozzle, utility brush, 6' clear hose, crevice tool/brush, and 16" flexible wand. According to Atrix, the ESD-safe Omega Green Supreme Vacuum is the quietest, most powerful service vacuum available. Made from long-lasting, high-impact starex flame retardant ABS polymer, the VACGFIL's new motor uses 20% less energy, and its HEPA Filter is 99.97%. As with the VACHFIL, the Filter Full Indicator Light complies with British Standard No. 8520. Included with the VACGFIL Omega Green Supreme are a 6' ESD-safe crush-proof stretch hose, 16" ESD-safe flexible wand, and a Shoulder strap. The FILKIT Full Filter Indicator Kit allows the Omega Plus, Omega Supreme Plus, Omega Green Series, Omega MRI Series and Omega Cleanroom Series Vacuums to be equipped with the new red LED warning light. As previously mentioned, the light illuminates as the filter approaches full capacity and meets British Standard Number 8520, which applies to all fine-filtered HEPA and ULPA vacuums used with hazardous materials. Please note: The FILKIT must be ordered at the time of purchase of an Omega Series or High-Capacity Vacuums. The VACHFIL, VACGFIL, and FILKIT are all available at QSource.com and can be ordered online, via email, or by calling us at 800-966-6020. For a complete selection of Atrix products, please visit our Atrix International Department. If there's a product or topic you'd like to see The Q Source Resource write about please let us know. We'd also appreciate if you share this blog post with your friends and colleagues via the social media links below. If you have questions or remarks about Brady products or anything on The Q Source Resource or QSource.com, please leave us a message in the comments section.